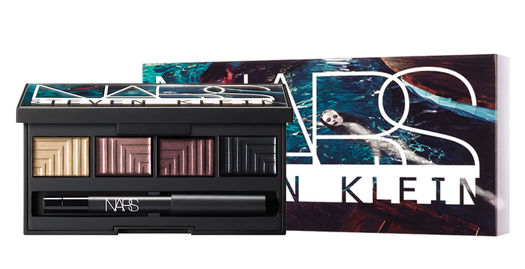 For the holiday season, NARS has teamed up with photographer Steven Klein for a collection that celebrates individuality and power. 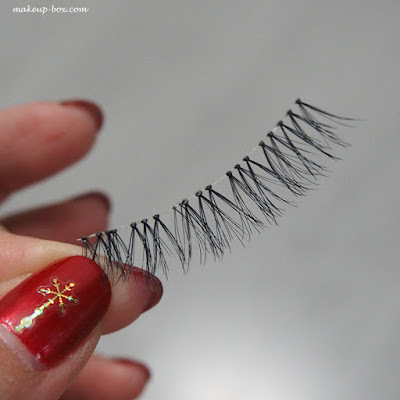 Despite the very avant garde campaign, the collection is actually extremely wearable, and great if you love bombshell slash femme-fatale makeup with strong lips and neutral eyes. Case in point? 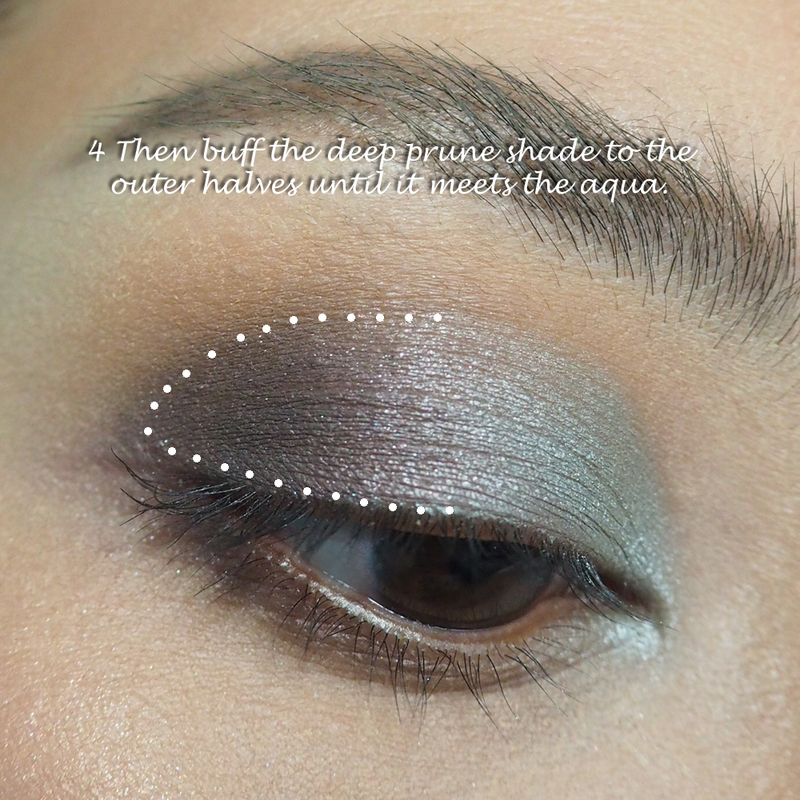 The Dead of Summer Dual-Intensity palette. The An Abnormal Female lip bullet set below is LITERALLY a giant bullet case which you can re-use (I can't imagine bringing it out, so it would really just be a display piece more than anything). 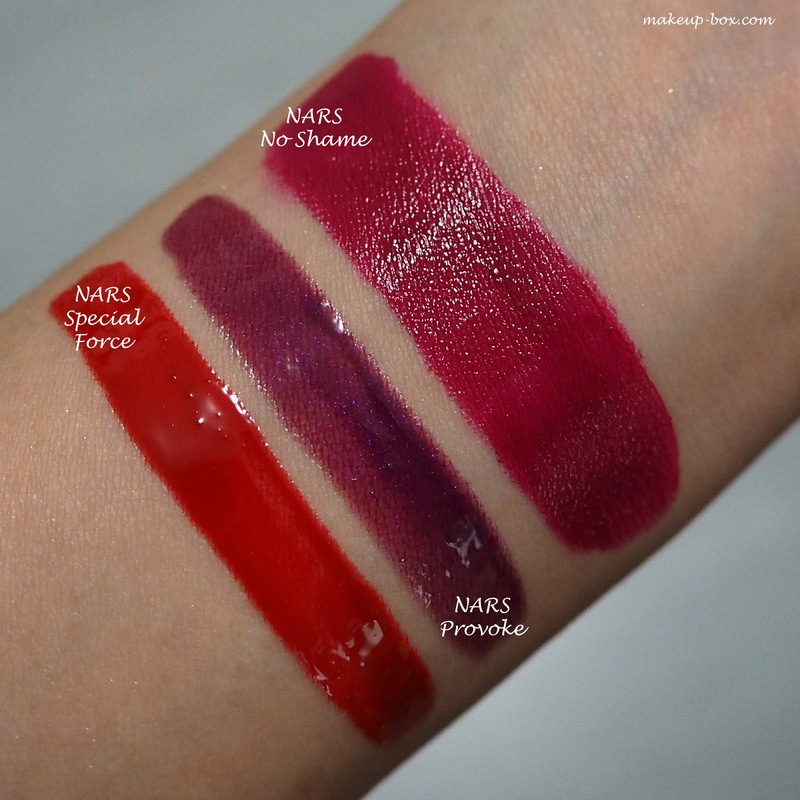 For review, I received some of the individual items, along with the NARS x Steven Klein Magnificent Obsession Lip Set, so these are what I'll swatch for you. 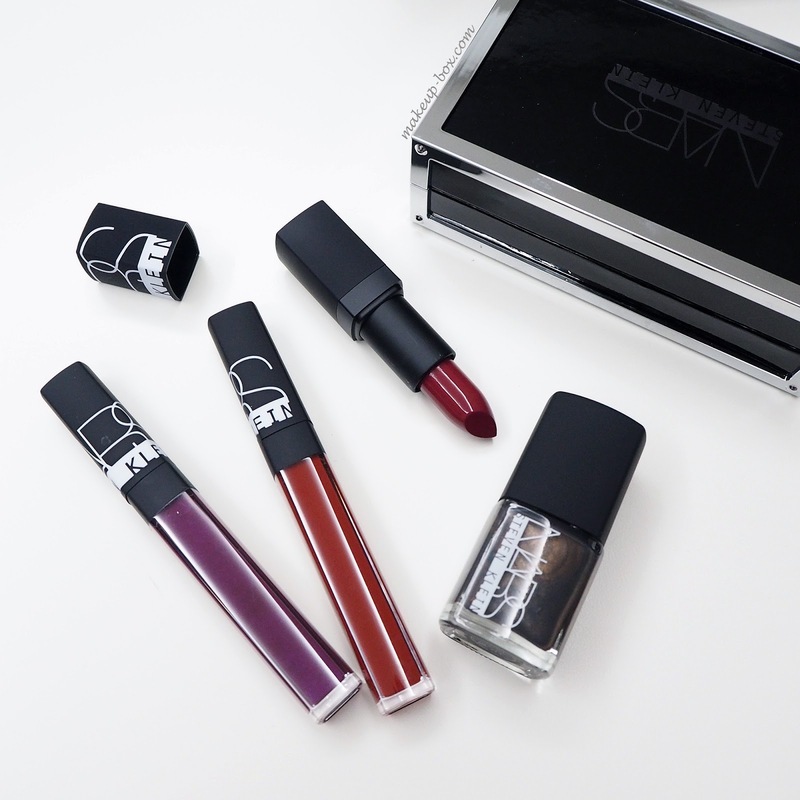 The lip set comes in a small glossy metal-lined cardboard case (top right above), and contains 3 lip products. Flamenco lipstick, Velvet Matte lip pencil in Mysterious Red, and Velvet Lip Liner in Misdemeanor. 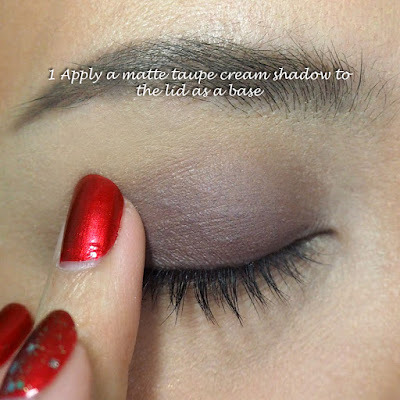 The liner is a true red, whereas the other 2 have I feel a touch of neutral brown in them which makes these very flattering on a majority of skin tones. This is more apparent in Mysterious Red. In Flamenco, which is glossy and semi-sheer, it's more of a deep and subdued red tone, and not as bright as a true red. 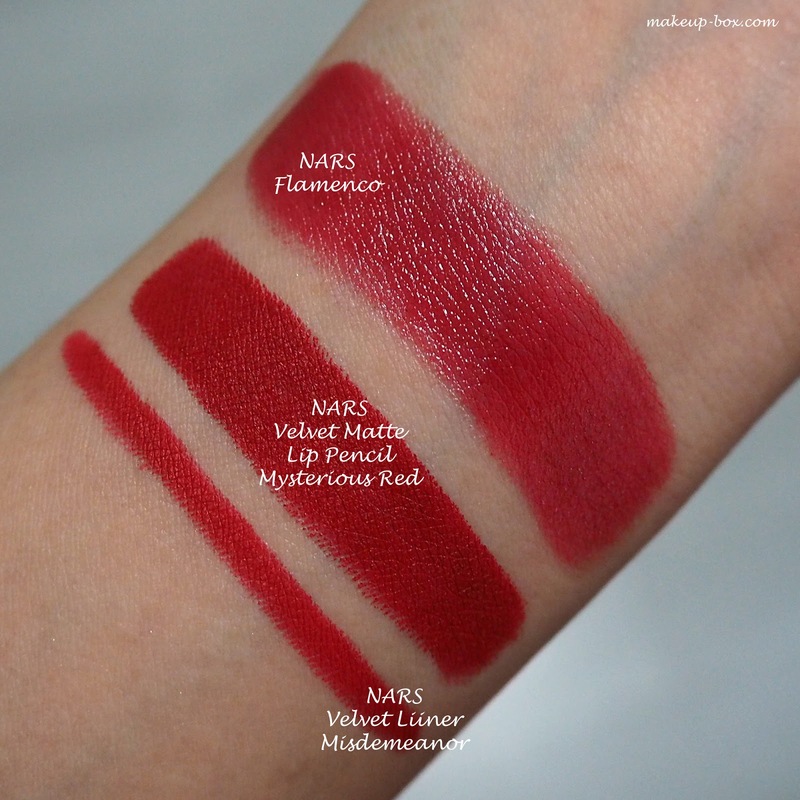 I'm always up for a good red, but I was actually more wow-ed by the other lip products I swatched. Lipstick in No Shame is a gorgeous deep berry which goes on so smooth and rich that it feels almost like butter. I'm totally in love with this shade right now. 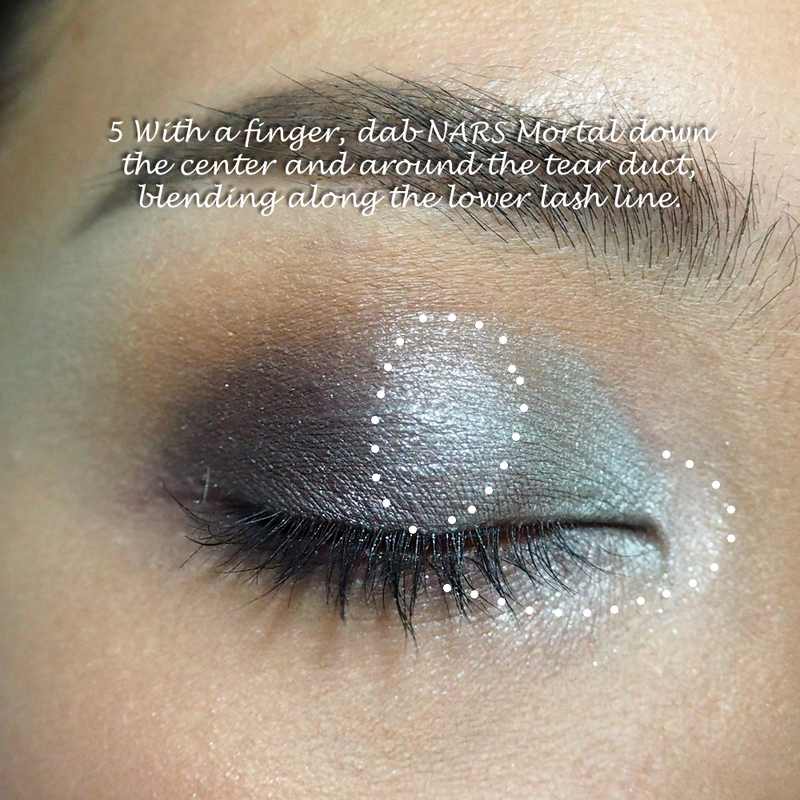 The glosses Special Force and Provoke, are also pretty darned pigmented, and are that nice new non-sticky texture. 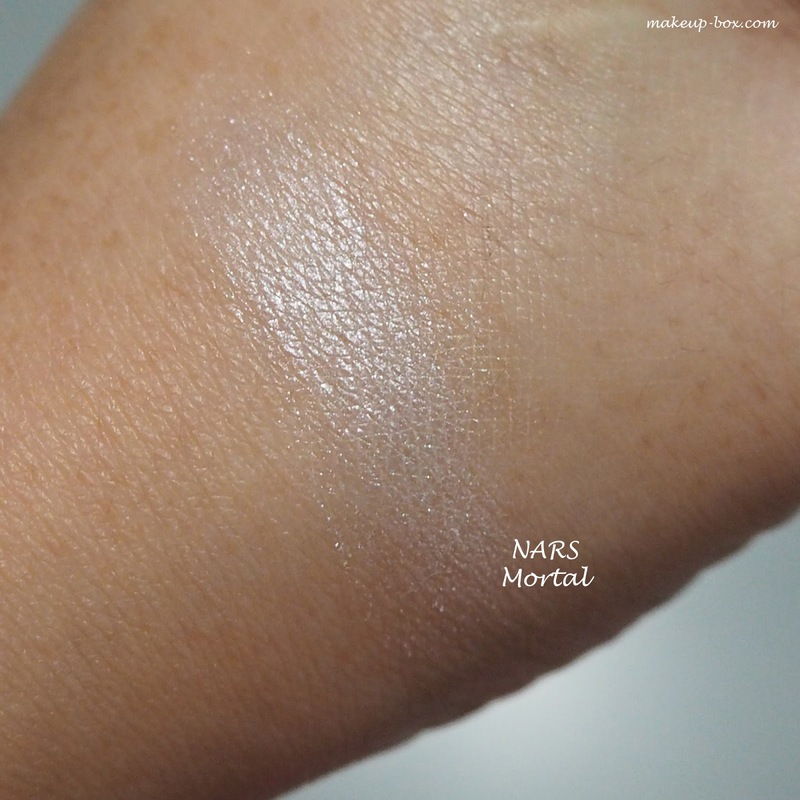 The single shadow I received, Mortal is a crystalline white. It's pretty, but I personally feel it's more of a shade which can easily be found from any other brand, including drugstore ones, so it wouldn't be where I would invest my money unless you absolutely love NARS and want a pearlescent white which layers well over other shades. 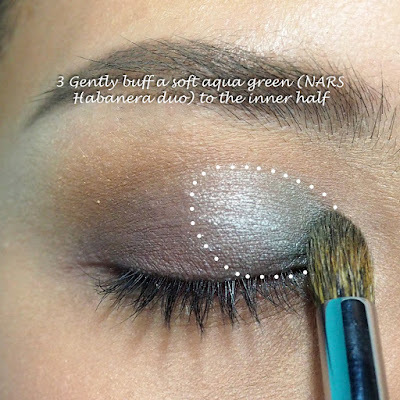 I received only one shadow, so I decided to work it into a look paired with another NARS duo, Habanera, which contains a soft aqua and a deep prune purple. Then I paired it with No Shame lipstick. Tip: because this was a rather cool toned look, a warm matte transition shade helps make it less harsh, and adds contrast with the cool shades too. 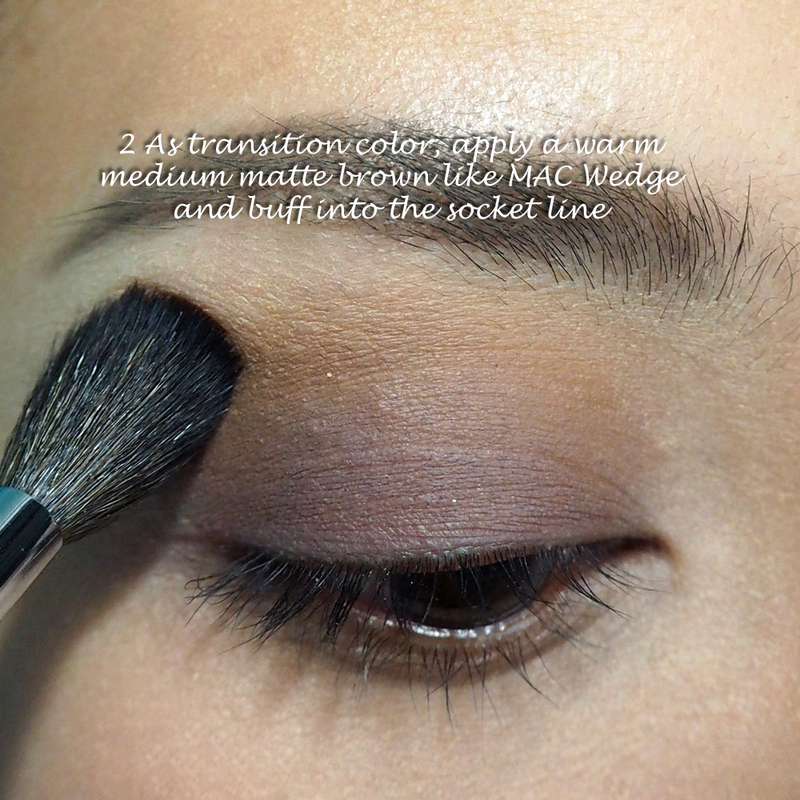 I forgot to add that I also ran the color lightly along the outer 2/3s of the lower lash line! 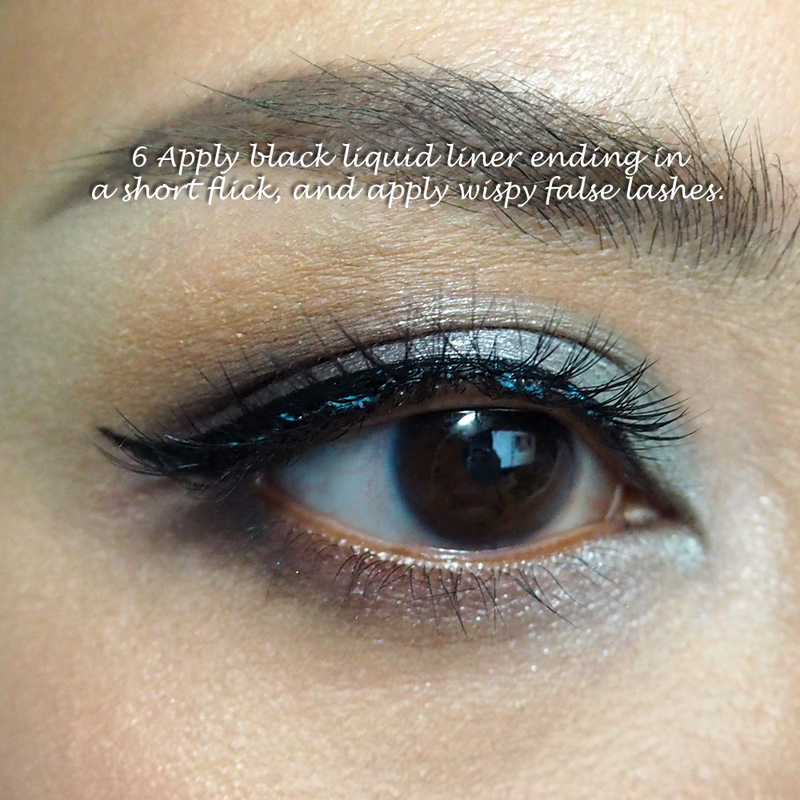 Note: It's optional applying the white sparkly shade to the inner corners and below the bottom lash line. I just wanted a brighter look, but if you have pronounced eye bags or your upper lid fold covers the inner corners (many Asians), skip this step. 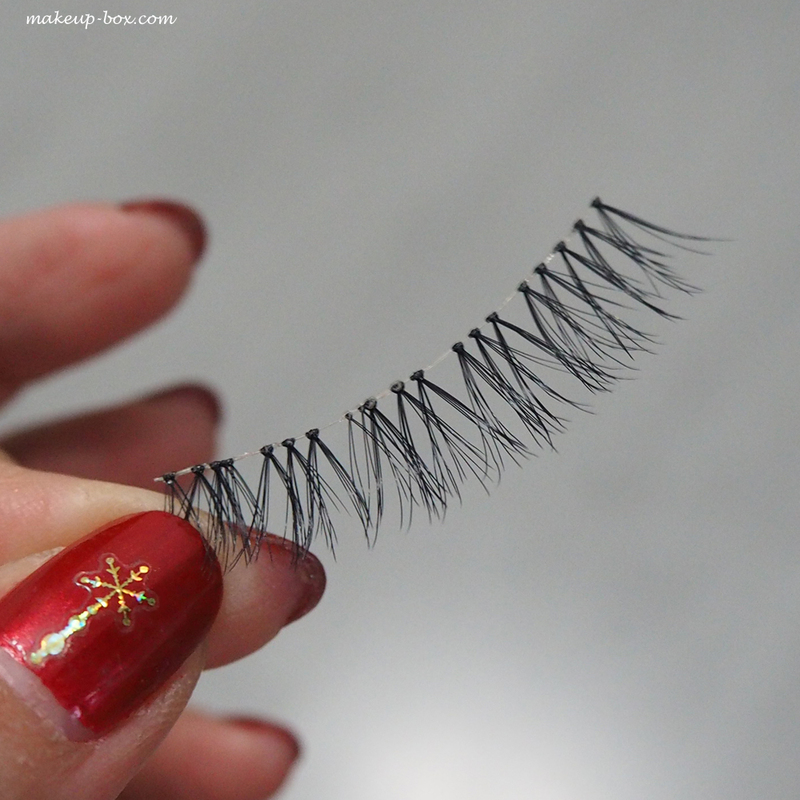 If you're curious about the lashes, I used Dolly Wink No 9 lashes, but just in case it's not available to you, just look for wispy natural lashes that are longer at the outer corners. P.S. For the lips, I did use a little of MAC's Cyber World pencil (a very deep dark prune/plum) along the outer corners of my upper lip, and along the bottom to add a little 3D definition. You want to cover up most of the liner with the lipstick so there isn't a hard obvious deep purple line ringing your mouth. The effect should be subtle. You look stunning! 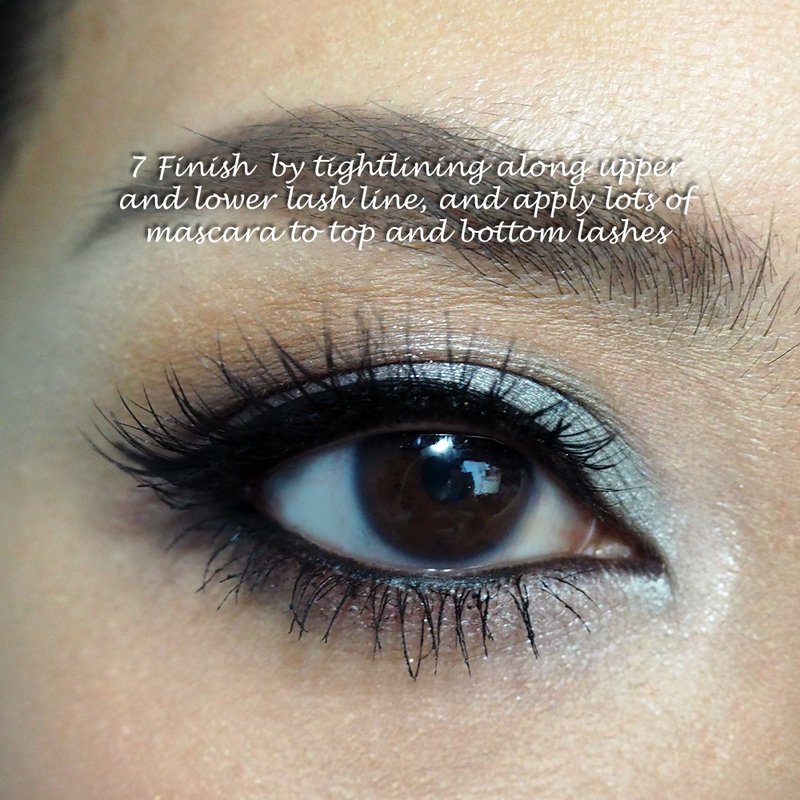 Have you thought about making youtube videos for your tutorials? I'd love to see them in action.